John Mendel, executive vice president of American Honda, said adding a second source for the Acura MDX (pictured) will give Honda added manufacturing flexibility. Honda Motor Co. plans to spend $85 million to enable its East Liberty, Ohio, plant to produce a fourth nameplate, a move stemming from the company’s bullish outlook for North American truck sales. The East Liberty factory will get new welding equipment, conveyors and other gear that will enable it to assemble the Acura MDX crossover starting at the beginning of 2017, Honda said in a statement today. The plant produces the Honda CR-V crossover and Crosstour hatchback, and the Acura RDX crossover. MDX production will continue at Honda’s Lincoln, Ala., plant, which also assembles the Honda Pilot crossover, Ridgeline pickup and Odyssey minivan. John Mendel, executive vice president of American Honda, said adding a second source for the MDX will give Honda added manufacturing flexibility as truck sales rise and the company adds a redesigned Pilot this year and a redesigned Ridgeline next year. The redesigned Pilot “will really raise the stakes in the midsize SUV segment,” Mendel said. 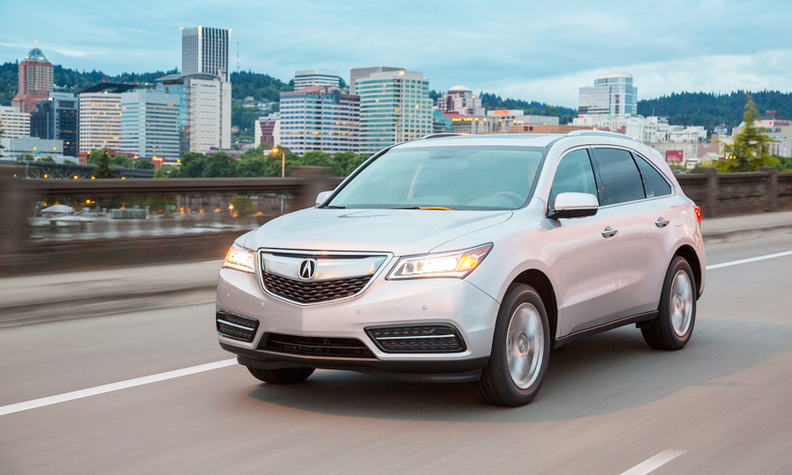 If the Pilot sales take off, and MDX also remains a strong seller, the company will be in a position to increase production of both models to meet demand. Having a second MDX production site “gives us a safety valve … if the Pilot is [even] more successful than we expect,” Mendel said. Sales of Honda and Acura trucks in 2014 edged up 2.2 percent while car sales were flat. In January, car sales stayed flat while truck sales leapt 27 percent. The big jump was helped by clearance efforts on the outgoing Pilot, whose January sales nearly doubled from a year earlier. The redesigned Pilot will be unveiled this week at the Chicago Auto Show, and later in the spring Honda will add the HR-V subcompact crossover. Mendel noted that the redesign of the Pilot comes seven years after its last major overhaul, and was delayed because of the earthquake and tsunami that rocked Japan in 2011 and “other priorities” such as a rush makeover for the Civic. The slow recovery of truck sales after the 2008 financial crisis also gave the company reason to move more slowly than it has in the past. A new Ridgeline is on deck for 2016. It will be the first redesign since the vehicle was launched in 2005. Also coming next year, Mendel said, will be an updated MDX with a nine-speed transmission, and freshened RDX.